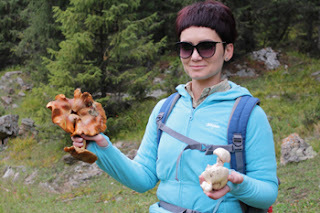 Frequent contributor to this website, Lilya Kas'yanova, an expert guide to Kyrgyzstan, has noted that many travellers are unaware of the city's history prior to the Soviet period. In this essay she provides an overview. The location of medieval Bishkek was quite advantageous as the Valley of Chui River was criss-crossed by the caravan trails of the Great Silk Road. The eastern branch of the trunk road threaded through the Golden (Chui) Valley, and interlaced there with another, which pierced through the territory of the Central Tien-Shan mountains. In the 7th – 13th centuries A.D., the Turkic-Sogdian Djul’ settlement was located in the space of present-day Bishkek, capital of Kyrgyzstan. 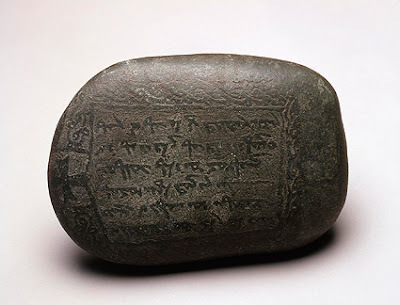 Historians date Djul's foundation from the 6th century A.D. In ancient Turkic dialect "Djul" means "steppe". 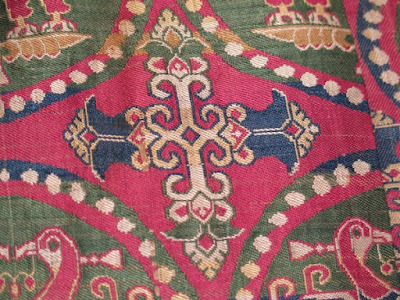 One theory is that the town had also been known under its Sogdian name "Peshgah", meaning “town that lies in the foothills of the mountains”. In the Middle Ages, it was common practice to give two names to localities: one – Sogdian, another – Turkic. Djul’ was not the only populated center of the Golden Valley: some historical sources indicate 18 towns and 50 small settlements. A well-defined distance of one-two days’ caravan march separated the towns of the Valley. The Iranian-speaking merchants and farmers who had moved from Sogdiana founded those settlements. 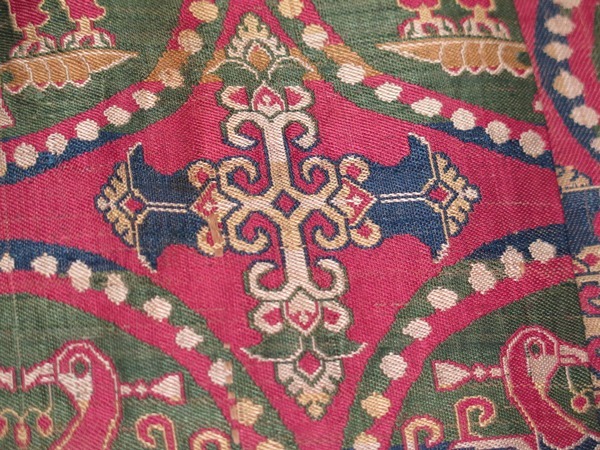 Samarkand, in present-day Uzbekistan, was the heart of Sogdiana. Gradually, those Turkic nomads, who were attracted by a sedentary lifestyle, took up residence in the towns. The settlements of the medieval era were multi-faith centres: they were settled by Zoroastrians, Christians, Buddhists, Nestorians, Muslims and pagans who lived together in peace. and rabad (suburb represented by workshops, shopping stalls, etc.) the centre of economic life, and which in turn was encircled by orchards and fields. Kilometers-long embankments screened cultivated areas: Djul’ was a sprawling city by medieval standards. It is generally accepted that the booming towns of the Chui Valley declined by the 14th – 15th centuries. However, different versions describing the eclipse of urban life are put forward: the devastating marches and punitive expeditions of Amir Timur (Tamerlane), natural disasters such as earthquakes, internal feuds, plagues and so on. In 1825, the Khan of Kokand (now in present-day Uzbekistan), after conquering lands populated by the obstinate Kyrgyz nomads, built a fortress known as Pishkek at the site of today’s Bishkek city, to maintain firm control. However, the Russian military detachment led by siege-craft experts, completed a successful attack on the enemy’s citadel in November 1862. The Kokand fortress fell; it was demolished to the foundation by the Russian troops. Later, on the site of the former fortress, a Cossack outpost was positioned. Pishpek settlement was founded in 1868. 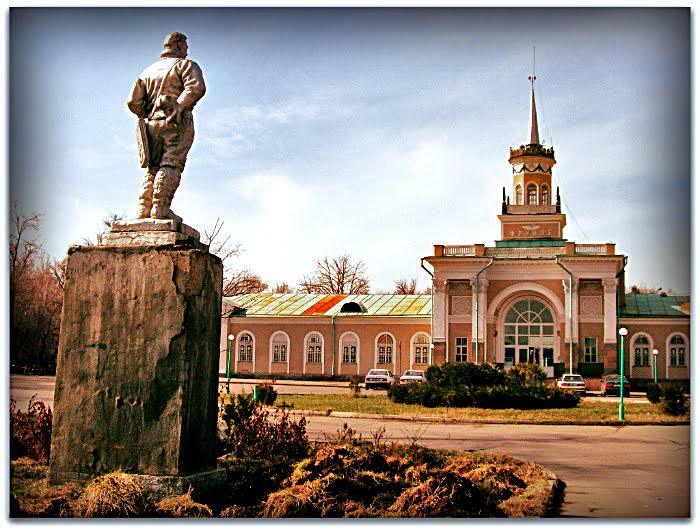 Finally, the district center was moved from Tokmok to Pishpek, and it was granted the status of town on April 29, 1878. The town became the administrative center of the Soviet Kara-Kyrgyz Autonomous Region in October, 1924. In 1926, Pishpek was renamed Frunze in honour of Michael Frunze, a major Red Army commander in the Russian Civil War, who is best known for defeating Baron Wrangel in Crimea. He was also Joseph Stalin’s arch rival – Frunze was born here in 1885. (As an aside, when flying to Bishkek you will note that the luggage tag’s three-letter airport code is FRU – a relic from the Soviet past). The residents of the town laid out a great many parks and gardens of delicious coolness, managing to create a delightful oasis in the mid-desert steppe. 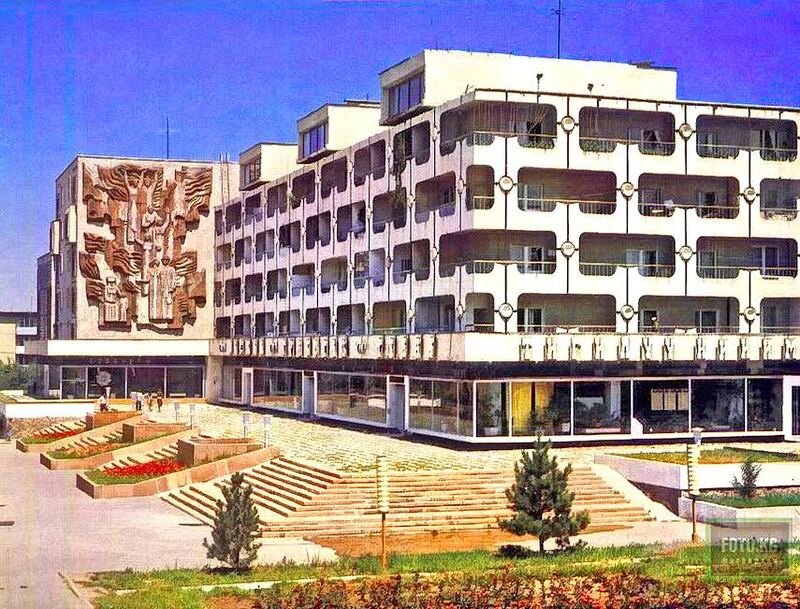 Frunze was regarded as the greenest capital of the Soviet republics. 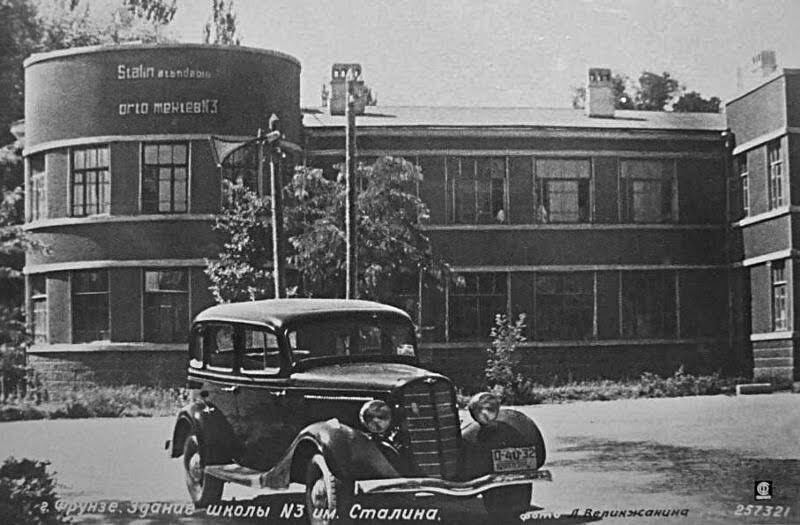 During World War II, some of the Soviet manufacturing facilities were moved to Frunze, thus keeping them beyond the reach of the enemy. A number of heavy industry enterprises were launched at that time turning Frunze into a thriving industrial heartland. Many cultural centres, such as museums and theatres, were built in the capital. Frunze was renamed Bishkek when the Kirghiz Soviet Socialist Republic became independent Kyrgyzstan in 1991. 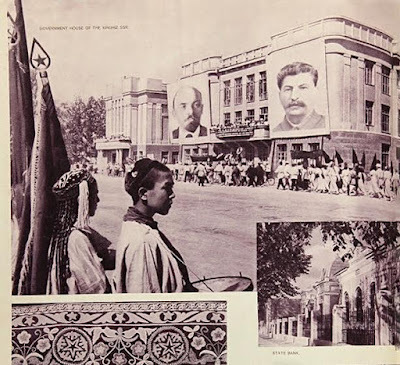 Additional images of Soviet Bishkek are below.